Lynchburg resident Emilia Knisley is manager of Chatfield College library services. Emilia Knisley, a Lynchburg resident and 2017 Wilmington College graduate, has joined the Chatfield College staff as manager of library services. The position entails assisting students with resources, overseeing the Library & Learning Centers at both Chatfield College campuses, and coordinating support services such as tutoring and mentoring. As a College Credit Plus student from Lynchburg-Clay High School, Knisley graduated from both high school and Chatfield College weeks apart in 2013. Following her time at Chatfield, she went on to earn her bachelor’s degree in Criminal Justice with a minor in Political Science from Wilmington College in 2017. Knisley is currently pursuing a master’s degree in Public Administration with an emphasis in Non-Profit Management at Ohio University and will graduate in August. She brings a wealth and breadth of library experience and community engagement through her work in the Blanchester Public Library, the Watson Library at Wilmington College, as an intern with the Clinton County Health District, and as a member of community theater in Wilmington. “Emilia’s experience in supporting the academic and non-academic community in developing digital literacy and writing skills will aid continuing and future Chatfield students as we move toward an increasingly integrated model of student support,” said Dean Dr. Peter Hanson. Knisley resides in Lynchburg with her pets and enjoys participating in 5Ks and community theater. 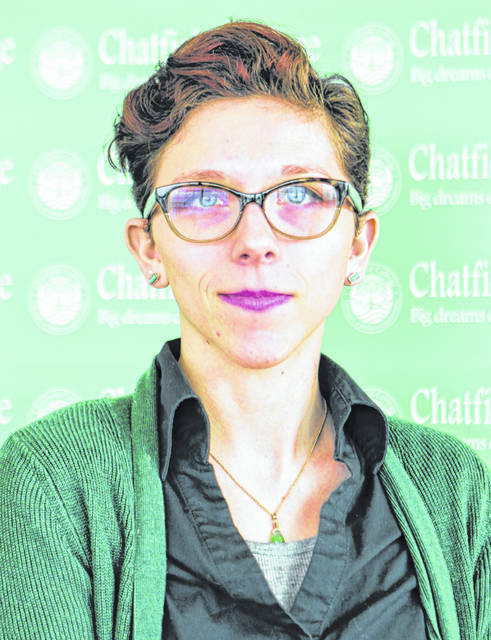 https://www.timesgazette.com/wp-content/uploads/sites/33/2019/01/web1_librarian.jpgLynchburg resident Emilia Knisley is manager of Chatfield College library services.